Perhaps the key to Herb Becker’s success is that he’s never stopped learning, never stopped looking for new ways that will add to his knowledge of making machines perform beyond their designers’ expectations. Herb regards an engine as a symphony conductor regards a musical score, with a deep appreciation for the harmony among its component parts necessary to produce results at the highest level. 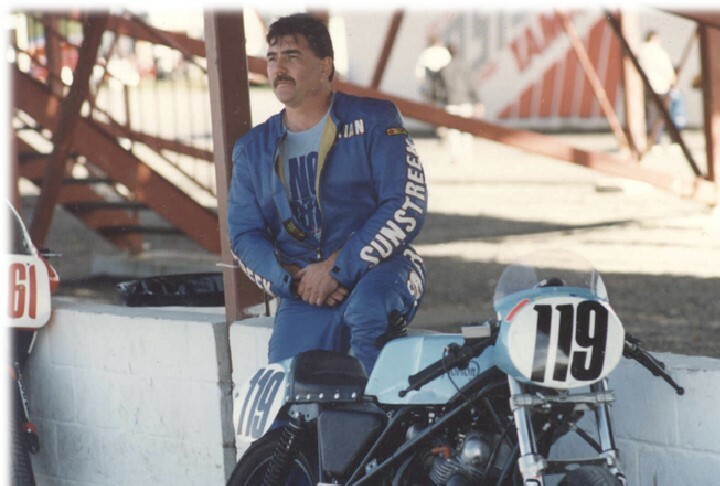 For more than 25 years Herb has applied his imagination, intense work ethic and willingness to experiment toward building a succession of motorcycles that have dominated their class in vintage racing throughout eastern Canada and the U.S. In the hands of a series of talented riders, his distinctive pale blue Nortons evolved into the overdogs of their class. All it took was years of relentless dedication. Growing up in Breslau, Ont., Herb was always fascinated by machines that could go fast and make the right sounds. 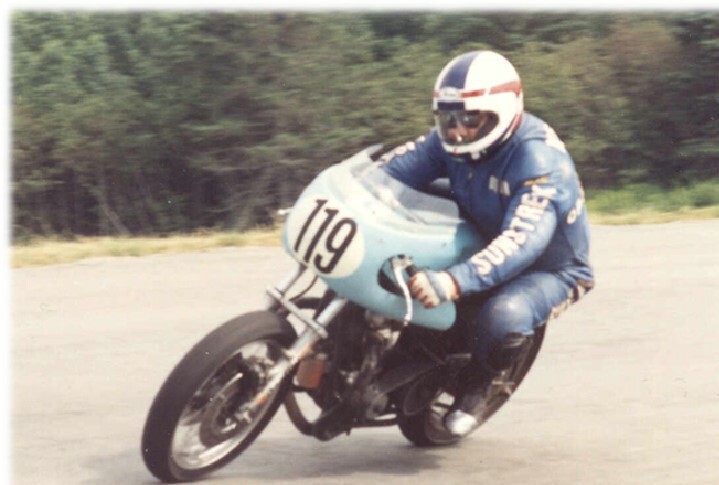 While finances eventually dictated that his most ambitious efforts at racing be with motorcycles, Herb was first drawn to fast cars. The high school classroom was not a place for him and he left early to earn a living with his hands. Making a few bucks as a bricklayer’s assistant, at age 16 he bought a hotrod, a Model A Ford with an Oldsmobile V8 engine grafted in. It was painted pale blue. Herb was always looking for new opportunities to learn, and moved among a succession of jobs in the toolmaking trade; fortunately, at the time there was no lack of work around Kitchener for an eager young man with talent. 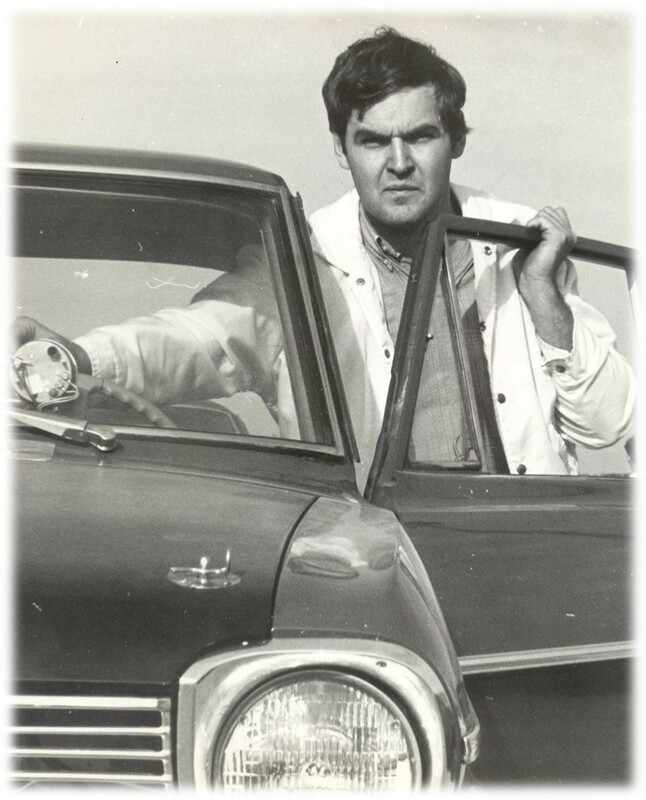 Herb tried his hand at drag racing, substituting ingenuity and hard work for deep pockets in making his cars go fast. 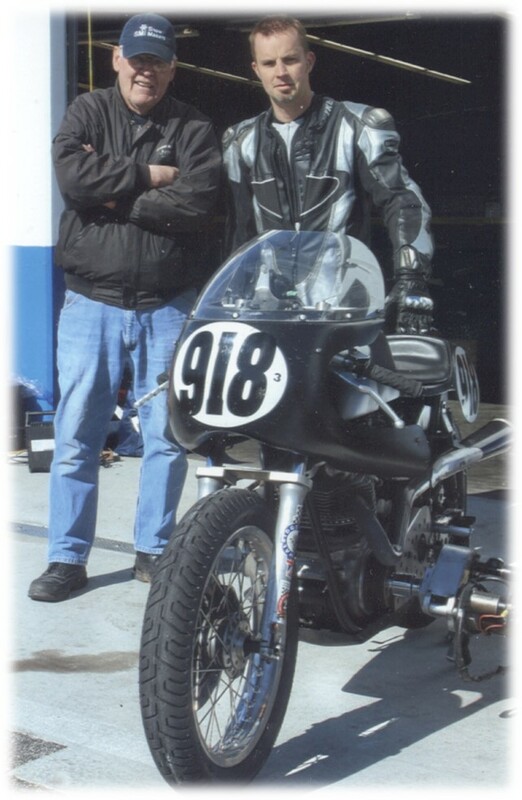 Herb’s racing has almost always been self-funded and as time went on he realized that a serious effort was beyond his budget unless he switched to lower-cost machines like motorcycles. He picked up a single-cylinder BSA 441 Victor, but actually learned to ride on a Honda XL175 from a police auction. 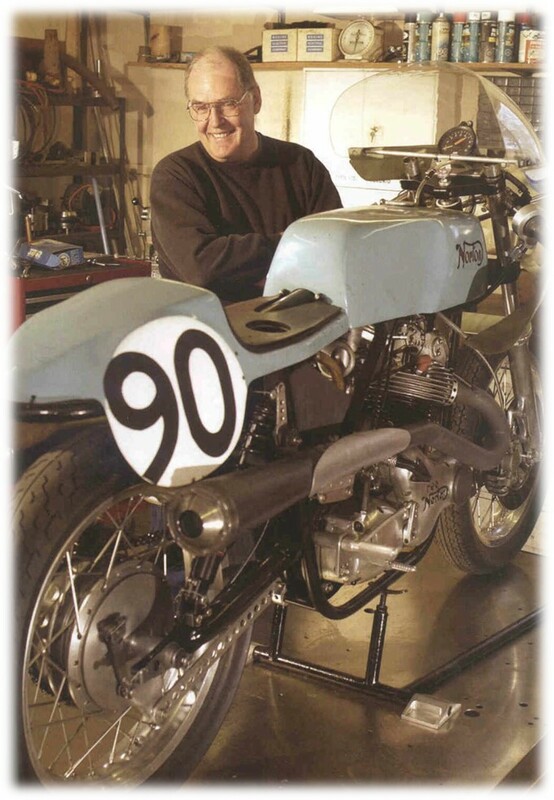 Finally in 1985 he was approached to build a vintage racer from an old Norton Commando by his friend Mike Pawson. 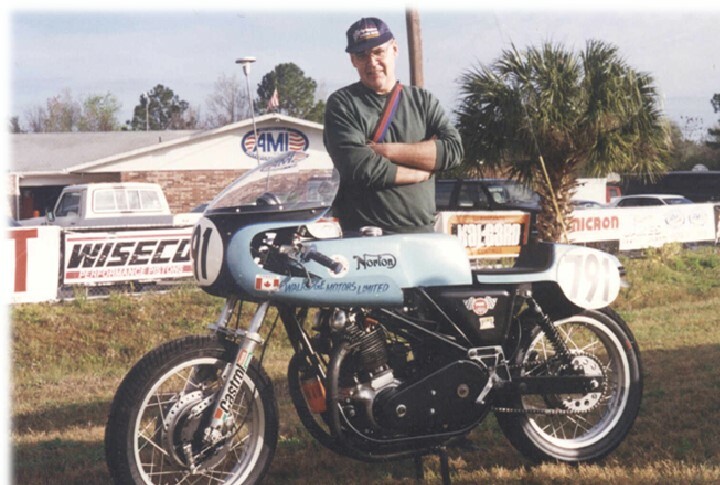 Herb had already put together his own Norton that turned a 13.1 second quarter-mile at St. Thomas before pitching him off and earning a brief visit to hospital. 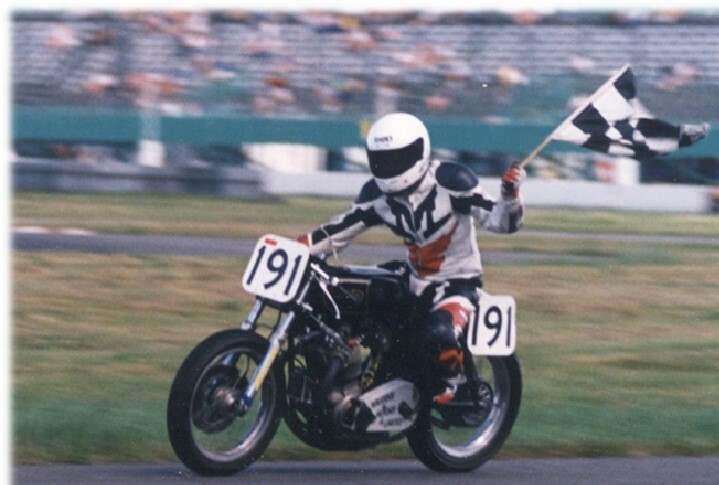 The new bike went on the track in 1986 but it took three years before it was able to unseat the incumbent ruler of the Vintage Road Racing Association’s open class, Ken Hodge on another Norton twin. Since then, Herb’s trophy collection records more than 100 podium finishes. Early on, Pawson suffered a broken ankle in a crash and Brian Kenyon took over the riding duties for the next six years. In 1993 Herb began a 10-year run with Jim Struke in the saddle. 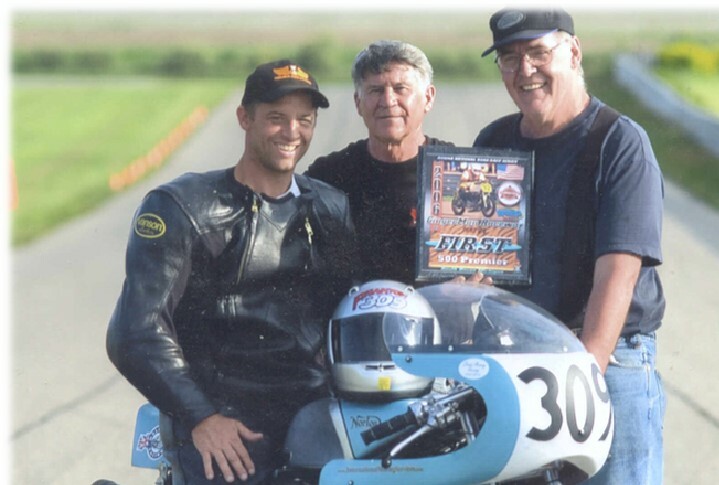 They began travelling farther afield and were rewarded in 1998 when Jim won the American Historic Racing Motorcycle Association’s national championship in the 750 Sportsman class. 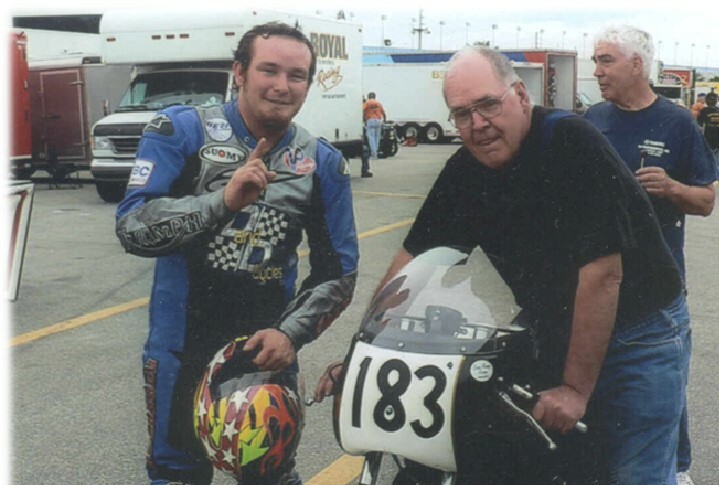 Moving up a notch, AHRMA’s Formula 750 class allows all sorts of exotic machinery so it was a high point of the Becker-Struke partnership when they gained a first-place finish in the class at Daytona in 2003. By then the ancient Norton engine was putting out 84 hp, a level of performance and reliability that the Norton factory engineers had never achieved in their heyday. 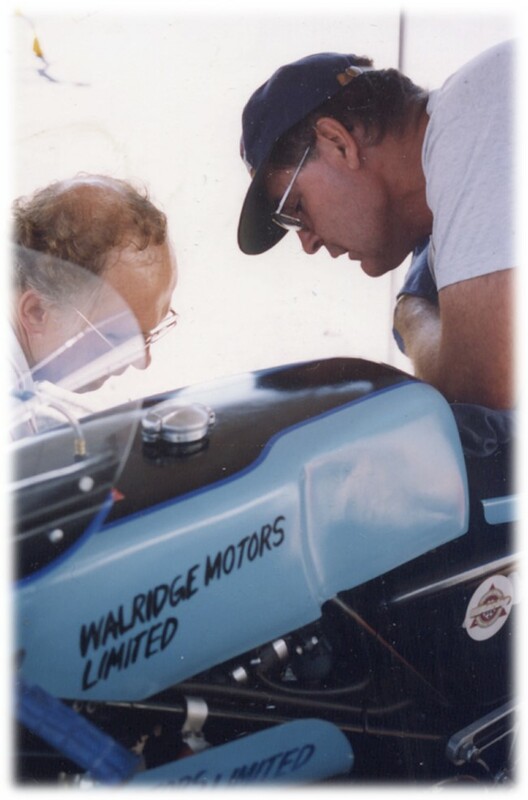 While Herb took responsibility for shaping metal, it was with the flowbench and computer analysis of his friend, Tim Spiegelberg, that the team gained confidence in the horsepower output they could expect. Dyno testing went on constantly to prove whether their ideas were working. Never satisfied with the status quo, Herb applied his imagination to every aspect of the motorcycle in an effort to improve its performance. “To get it right you’ve got to have everything right,” he says, so no detail is too small and every fresh idea is worth investigating. He’s always eager to debate and discover new concepts and influences from a broad array of sources not confined to the motorcycle world nor to conventional thinking. Herb has retired from industry but still puts in long hours in the tidy machine shop behind his house. 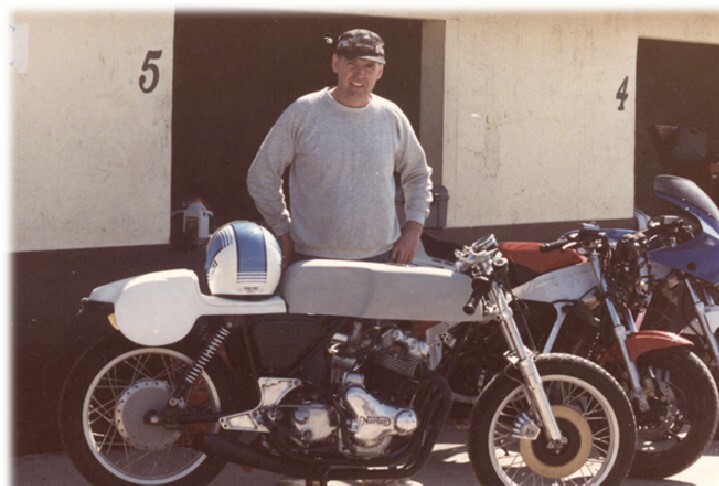 He produces precisely machined components for friends and acquaintances in motorcycling and has also closed the gap with his youth by building up a pair of classic cars. There is an old-school rail dragster along with a Ford five-window coupe, both with Oldsmobile power though not yet painted in that distinctive pale blue.